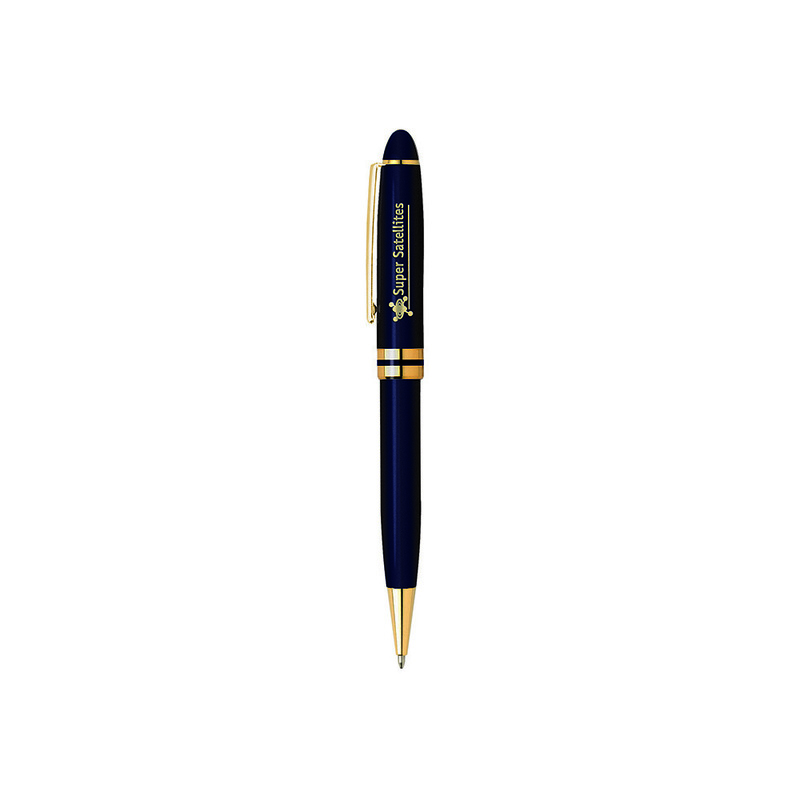 A classy Bic metal pen that features 24K gold plated accents. 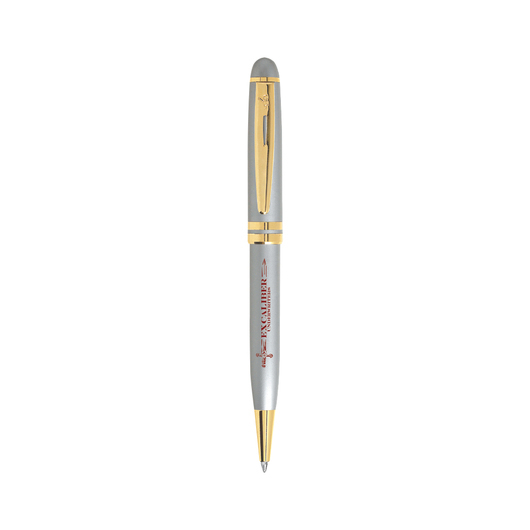 Production time: Usually 5-7 Working days after artwork approval. 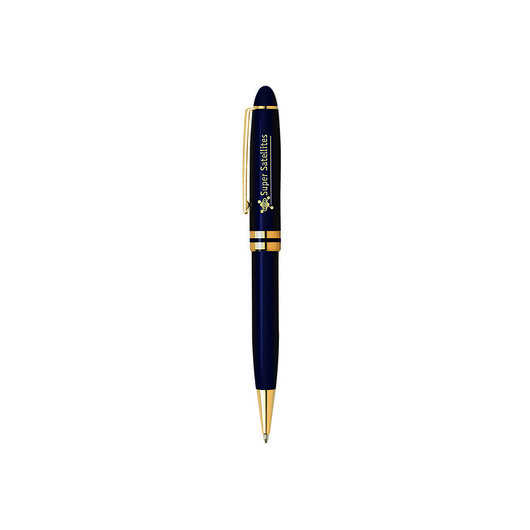 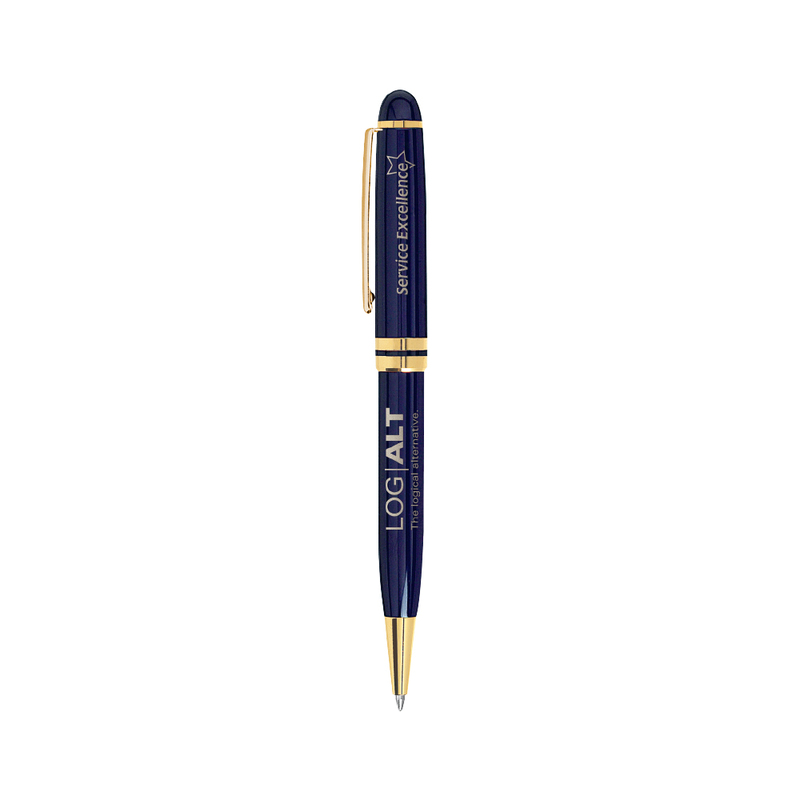 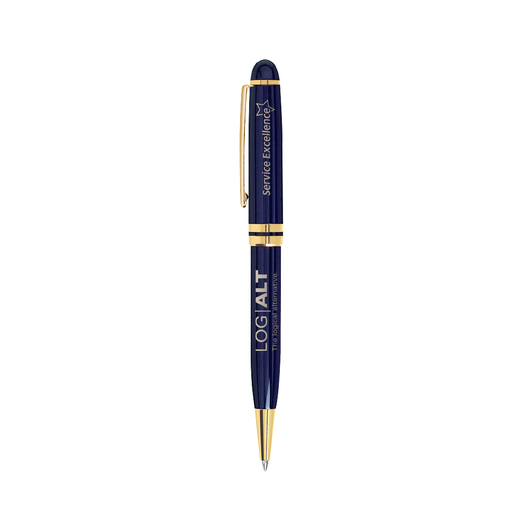 A high quality gift pen that features 24K gold plated accents. 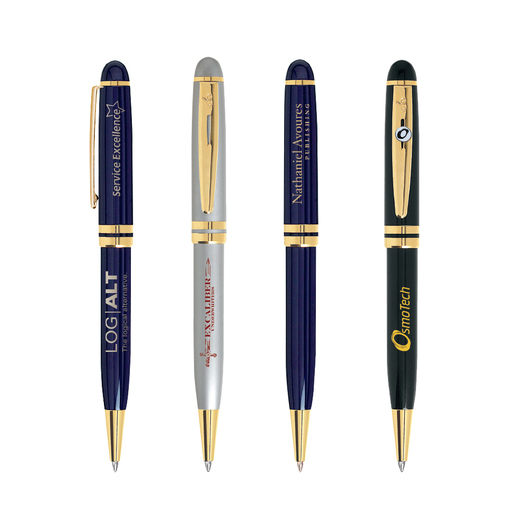 Choose from black, blue or silver colours, with a black velour sleeve included for free. 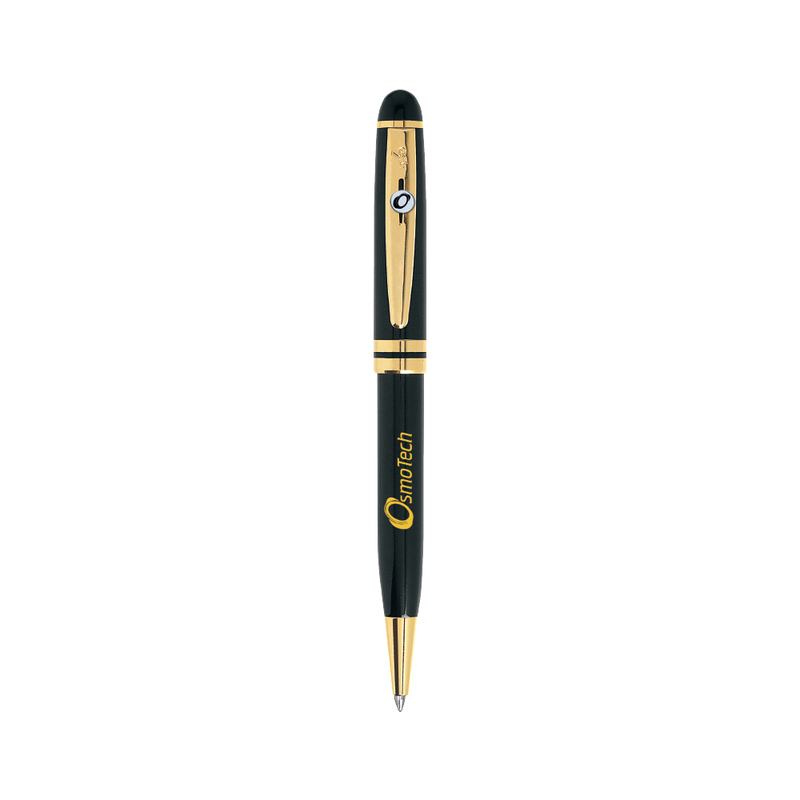 These pens are the perfect gift idea that will not go unnoticed. 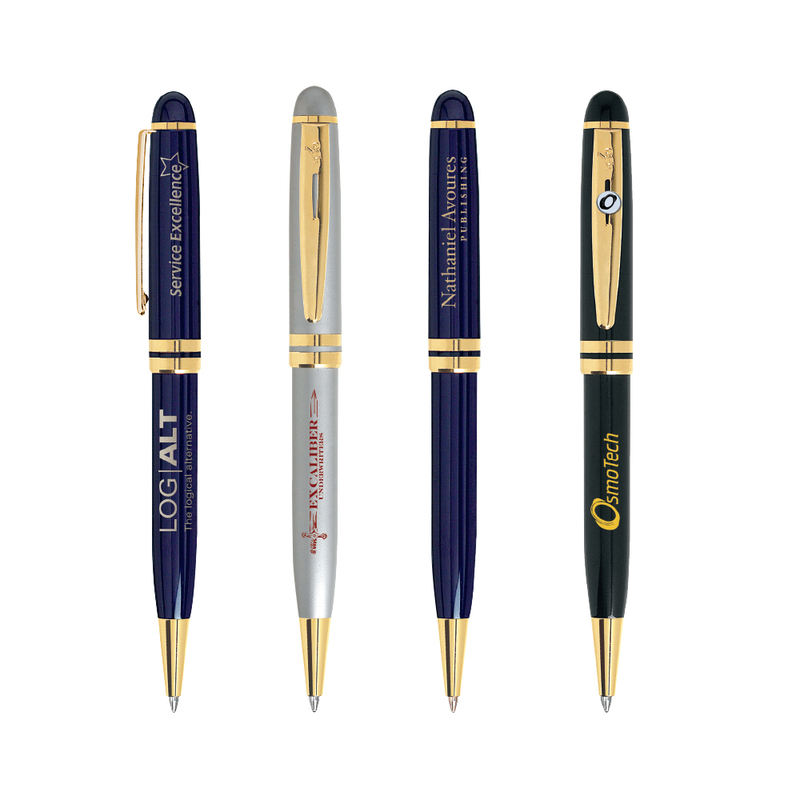 They have a twist-action ballpoint and can be decorated with either a laser engraving or print.